Liana puts you ahead of the curve, with a focus on modern woodworking. The smooth curved edges elevate the timeless aesthetic of this double wardrobe. In warm ash and rattan, it's a simple but effective statement piece. 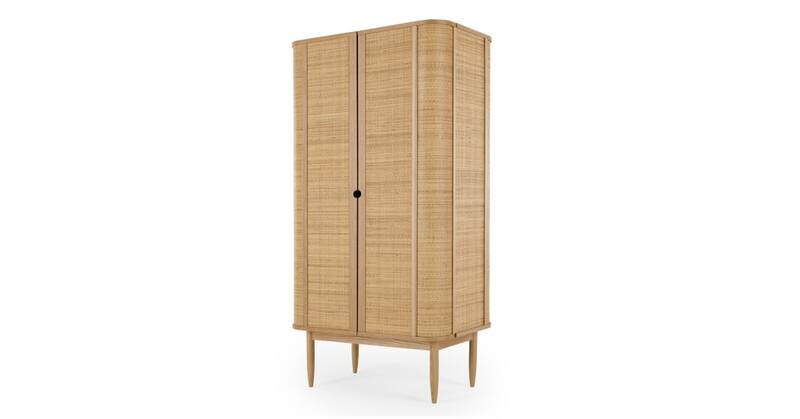 Liana may look soft, but crafted from natural timber ash, this wardrobe's strong too. Its woven rattan detailing is a stylish touch, as are the cut out handles. We collaborated with Sebastian Cox for the Liana collection, a design studio known for its modern craftsmanship. Including a bedside table, bed and dressing table, this collaboration exposes the beauty of natural materials.